Indi believes henna is a form of art which allows individuals to feel beautiful and special. Her creativity and skill in henna art surfaced from the inspiration of Ash Kumar’s stunning henna designs. It was her passion and admiration that led her to complete the AK Henna Course in 2013. Since the course she has become more confident and has showcased her work in a variety of professional portfolio shoots. She has developed a variety of ingenious designs and her portfolios capture the essence of her talent. 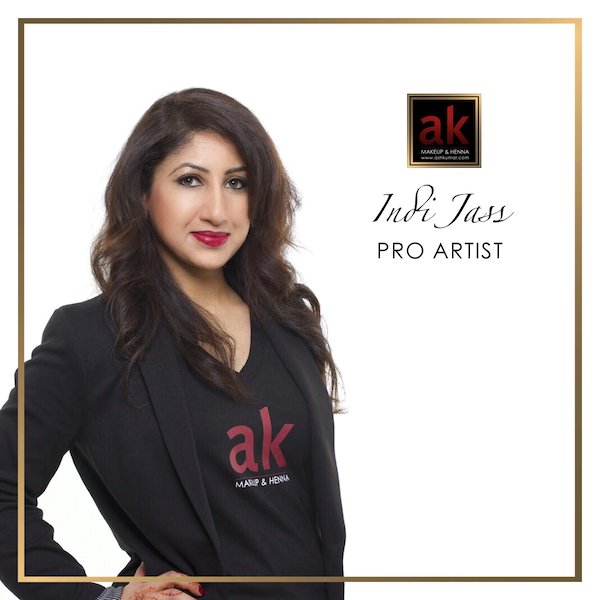 Being part of the Ash Kumar Artist Agency was always Indi’s dream. She believes that by having faith, passion and patience, dreams do come true.